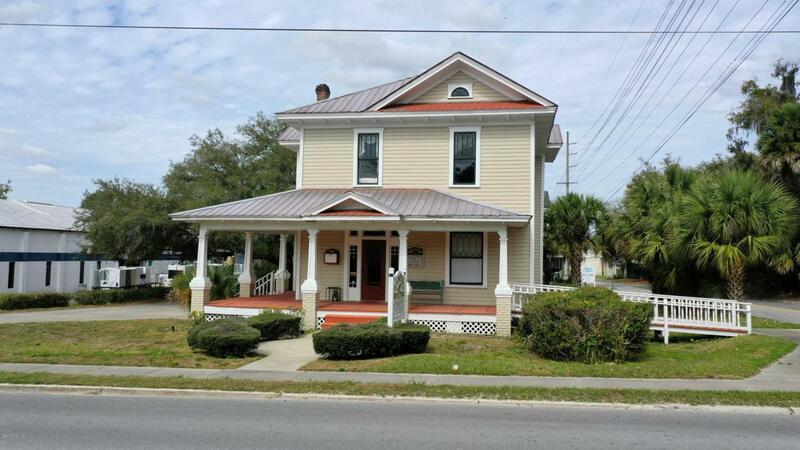 This Historic 1918 two story building is situated in the downtown business district in Ocala, Florida. The perfect location, just minutes to City Hall, County Court House, Post Office, Eight Street Elementary school, and Osceola Middle school. Features include: four offices, two reception areas, conference room, secretary area, two bathrooms, and screened upstairs balcony overlooking the down town area. Listing provided courtesy of Malcolm Gary of Bosshardt Realty Services, Llc.